Welcome to ROADTRIP-'62 ™ , for a continuation of our look at nationally-owned or operated public lands along US-23. Hi again, my name is Don Milne and I’m your travel guide for this historical virtual tour. September 24th is National Public Lands Day, so this seemed like a good time to discover these lands. Many of these were here as far back as 1962, so we could have seen them then. Others have been created since, and we’ll take a peak at them too. We’ll look at the individual sites and some history of the various federal programs that created and maintain them. Though the holiday celebrates all public lands, local, state and national, I’m going to restrict this to just the nationally-owned and operated public lands, and keep the focus on parklands. Last time I discussed what National Public Lands Day actually does, covered the National Parks, and ended the discussion with Jefferson National Forest in Virginia. Today, I’ll pick up at the next National Forest, in eastern Tennessee. Cherokee National Forest is the largest tract of public land in Tennessee and Tennessee's only National Forest. Land for the forest was first acquired in 1911. It initially also included lands in both North Carolina and Georgia, but in 1936 Cherokee National Forest and Unaka National Forest were reorganized along state lines. We travel through the forest from here to the North Carolina state line. At Erwin, Tennessee, the Rock Creek Recreation Area within the forest has a hike to two waterfalls. It’s a two-mile trail to the second falls and the trail crosses the creek several times on the way. If you want a shorter hike, there are other trails, but you won’t see the falls. After the hike, I’m stopping at the nearby Erwin National Fish Hatchery, so we get a public lands two-fer here. The hatchery has been raising fish since 1894: today they raise rainbow trout. Eggs from the fish are shipped to other hatcheries for their programs. They also raise trout here for a couple of years and then deliver them by truck to the Nolichucky River at the Chestoa Bridge just south of Erwin. In addition to these fish, the Nolichucky River is a world class small mouth bass river and also has musky, crappie and catfish. Besides watching the fish, there is a small visitor center with information on fish. Now, I’m not bold enough for whitewater rafting: canoeing is more my style of water sport. Also, I’m not sure many people participated in whitewater rafting back in 1962, or that you could rent equipment or take guided tours either. But the water was here in the Nolichucky River Gorge. Today there are several outfitters in or near Erwin, to take you down the Class I to Class IV rapids. The scenery is at least as good as we’ve seen from the road, with mountains, cliffs, and rhododendrons along the river. If you like the adventure, maybe you should spend your time on the river instead of looking at waterfalls on the side creeks. Very close to Great Smoky Mountain National Park, we enter Nantahala National Forest in North Carolina. US-23 enters the forest on its way down from Balsam Gap, where we cross the Blue Ridge Parkway. We will stay in the forest most of the way to Georgia. Nantahala National Forest was established in 1920 and is now is famous for whitewater rafting, mountain biking, and hiking on over 600 miles of trails. There is a short waterfall hike just a couple miles west of Franklin, North Carolina, on Wallace Branch. The falls are a sliding type, where the water slides over a rock incline instead of falling from a cliff. On the way you can see wildflowers: I saw some nice little wild orchids one spring when I visited. The Bartram Trail, a 220 mile trail through several states, takes you to the falls and beyond. This trail is well-maintained in this area but unmarked and poorly maintained in other parts. From Franklin, it heads south into Georgia and we cross it again later. Even though we could not have traveled it without great difficulty in 1962, Wallace Branch Falls would have been easy to reach then. This forest is also filled with horse trails and horse campgrounds, so bring your horses down here. The last National Forest of our trip is the Chattahochee-Oconee National Forest, in Georgia, which we find as we cross the state line. This will be the last large forested area of the trip and the last National Forest, so enjoy the trees while you can. Chattahoochee-Oconee National Forest is celebrating its 100th anniversary this year. The first land for this national forest was purchased in 1911 for $7.00 per acre, and this was originally managed as part of the Cherokee National Forest. As with most eastern national forests, they were established after the land had been mostly ruined and abandoned after excessive mining, lumbering and failed attempts at farming. In the case of these lands, gold was mined in almost every stream in northern Georgia in the mid-1800s. Afterwards, as railroads came through the area, lumbering became easier and cutting began on much of this mountain land. The practice of the times was to cut the timber, sell the land, and move on to other land. By 1962 most of these national forests were well established with second growth trees and all the wilderness features that follow a forest. In 1935, the Forest Service acquired land in mid-Georgia, but not as part of the national forest system. In 1959, President Eisenhower issued the proclamation establishing the Oconee National Forest, so we could have traveled past an additional national forest in 1962. It was later combined with the Chattahoochee National Forest. The Chattahoochee-Oconee National Forest includes the 16,000-acre Mark Trail Wilderness Area in northeast Georgia. This is named after a comic strip we could have read in 1962. It still runs today, though in far fewer newspapers than it once did. If you’ve never seen it, the strip is an adventure serial, set in the fictional Lost Forest National Park. The reason the wilderness area is named for the strip is that its creator, Ed Dodd, is a Georgia native who worked in the City of Gainesville as the Youth and Physical Education Director. Dodd later worked in the National Parks Service and that helped inspire him to begin the Mark Trail adventure strip in 1946. The current author, Jack Elrod, is also a native of Gainesville. National Wildlife Refuge is another category of national public lands that we pass near on our trip. The most northerly refuge is the Michigan Islands Refuge. This was established in 1943 and is comprised of eight islands in Lake Michigan and Lake Huron. Thunder Bay and Scarecrow islands near Alpena, Michigan, and Big and Little Charity islands in Saginaw Bay are managed by the Shiawassee National Wildlife Refuge in Saginaw. Seney National Wildlife Refuge has management resonsibility for the Lake Michigan islands of Gull, Pismire, Hat, and Shoe. Big Charity and Thunder Bay islands have lighthouses and keeper's quarters. While we pass within five miles of Scarecrow Island as we drive US-23 along the Lake Huron shore, we can’t stop in because the refuge is closed to the public. Shiawassee National Wildlife Refuge was just barely within five miles of US-23 in 1962, but today it begins right at Bridgeport, Michigan, off exit 144 of modern US-23 / I-75. The refuge is just outside the City of Saginaw and suburbs, and is one of the closest refuges to a metropolitan area. It was established in 1953 and spans 9,501 acres of bottomland hardwood forests, rivers, marshes, managed pools, fields and croplands. Four rivers converge on the refuge and the resulting Saginaw River drains a major portion of mid-Michigan. This area is very flat because it is part of the ancient Lake Huron lakebed, hence the swamp. To enjoy the hiking opportunities of the refuge, you need to travel considerably farther than five miles from US-23, but it’s well worth it. I especially enjoy early spring, before the droves of mosquitoes hatch. I’ve seen everything from deer, to turtles, bald eagles, mink, swans, muskrats, carp, and a variety of ducks in the refuge. Shiawassee National Wildlife Refuge has a visitor center within the City of Saginaw, the Green Point Environmental Learning Center, but it was constructed in the 1970s and is therefore too new for our trip. The central portion of our trip does not pass any National Wildlife Refuges. In fact, we don’t find another until Georgia, where US-23 travels along the Piedmont National Wildlife Refuge between Berner and Dames Ferry, Georgia. This refuge is primarily an upland forest dominated by loblolly pine on the ridges and with some hardwoods along the creek bottoms and in scattered uplands. You can find beaver ponds providing wetland habitat for ducks and other species. During the 1800s, European cleared the land, removing over 90% of the original forest. By the late 18790s their farming practices had caused serious erosion and they abandoned more than a third of the land because it could not sustain crops. The combination of this erosion with soil infertility and the boll weevil outbreak during the 1930s caused complete abandonment of the farms. By then all the topsoil had washed away, leaving the red clay subsoil exposed. The Piedmont National Wildlife Refuge was established from this worn out farmland. Today, the 35,000 acre wildlife refuge is once again a forest. One particular success story is the red-cockaded woodpecker. This native bird of the southern US is an endangered species because the older pine forests it requires have been cleared throughout most of its range. But the refuge currently has 39 active family groups. There is a wildlife drive, where visitors can view impoundments. These are areas where a mixture of oak trees and planted openings are seasonally flooded to provide wintering waterfowl an ideal feeding area. Bond Swamp National Wildlife Refuge is located 6 miles south of Macon and is managed by Piedmont National Wildlife Refuge. It was established in 1989 to protect, maintain and enhance the forested wetland ecosystem of the Ocmulgee River floodplain. This is far too recent for us to explore, but I thought I should mention it for completeness. It consists of 6,500 acres situated along the fall line separating the Piedmont and Coastal Plains. The swamp includes bottomland hardwoods, tupelo gum swamp forests, creeks, tributaries, beaver swamps, and oxbow lakes. This is the first place we might catch a glimpse of alligators. Finally, we come to the Okefenokee National Wildlife Refuge. The refuge was established in 1936 to preserve the Okefenokee Swamp and is the largest National Wildlife Refuge in the eastern United States, at 402,000 acres. The Okefenokee Swamp is approximately 7,000 years old, comprising a peat-filled bog in a large, saucer-shaped depression. It is one of the world's largest intact freshwater ecosystems. The name is derived from Choctaw Indian words meaning "Land of the Trembling Earth", because the peat moves when walked on in some areas. The depth of the peat ranges from almost nothing at the edges of the swamp to over 15 feet in some places. Okefenokee used to be subject to large natural fires every 20-30 years, which helped to create prairies and slowed the conversion to forests. The last major fire was in 1954, so if we were here in 1962 we may have seen an area still recovering. But in the early 1960s a structure called the Suwannee River Sill was constructed to keep water levels higher and there have been no big fires since. The Fish and Wildlife Service is still evaluating whether that was a good idea or not. Within the refuge, at the north entrance on Cowhouse Island, is Okefenokee Swamp Park. The park was conceived and built by the local Okefenokee Association, Inc. and opened in 1946 on land subleased from the U.S. Department of Agriculture. The park initially included boardwalks into the swampland, a 75-foot observation tower, and only a minimum amount of landscaping, but it opened the swamp to tourists. Today there are more things to do, including a boat tour of the swamp. You can get tours ranging from 30 minutes to two hours, penetrating deep into the swamp to view wildlife. You may see one of the 27 species of snakes, or of course, alligators. You may even see an osprey flying with a fish gripped in its talons. I once saw this at Yellowstone National Park and it looks really strange. If you want to paddle yourself around, you can even take a day trip by canoe. If I were bolder than I am, I could even spend a night out in the Okefenokee Swamp. There are several outfitters licensed by the Fish and Wildlife Service that can take you out there. After a boat trip, there are boardwalks and other trails to see other kinds of wildlife. There are several types of carnivorous plants, busy eating bugs. There are pitcher plants, bladderworts, and two types of sundews. The smaller of the two has tiny sticky traps laying flat on sandy soil. The larger type stands two to five inches high and can be found near the edge of standing water. These can even capture dragon flies. Besides these plants and lots of water lillies and wildflowers, keep an eye out for otters swimming in the lakes and canals. Maybe you’ll even see a bear, though they generally stay away from places frequented by people. Though the Okefenokee Swamp is a true wildlife refuge, we can also take the trails to Pioneer Island for a look at the recreated old homesteads and the Wildes Cabin Museum. As with most of the other wildlife refuges we visited, this whole area was farmland, so there were homesteads here. They were too marginal to be profitable and we now have the whole area as a park. National battlefields and national cemeteries, while not quite parkland, are related public land types. We encounter several of each along US-23. Active forts, such as Rickenbacker Air National Guard Field, in Columbus, Ohio, are usually not open to the public. But some old forts are in the National Historic Landmarks program. 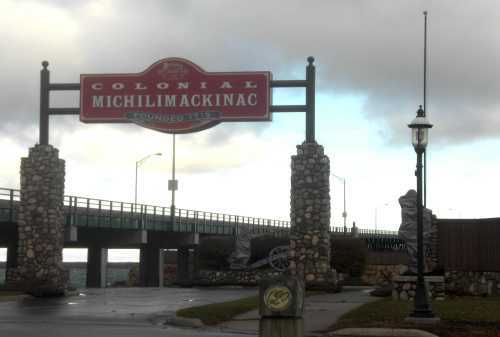 Fort Michilimackinac, at Mackinaw City, Michigan, is an old fort in this program. It is not part of the National Park system but is a Michigan State Park. Similarly, Fort Meigs, at Perrysburg, Ohio, is one of 58 sites operated by the Ohio Historical Society. There are three National Cemeteries along US-23; only one was open back in 1962. Great Lakes National Cemetery is located in Holly, Michigan, less than five miles from old US-23, and was opened in 2005. Jacksonville National Cemetery, in Jacksonville, Florida, is not yet complete. Mountain Home National Cemetery, in Johnson City, Tennessee, has been a burial place for veterans since 1903. The cemetery is on the grounds of the Mountain Home Veterans Administration Center. It was originally known as the Mountain Home Branch of the National Asylum for Disabled Volunteered Soldiers. This Veterans Administration Center contains French Renaissance-style buildings designed by New York architect J. H. Freedlander. Five years after the home opened, special dispensation was granted to permit the interment of Congressman Brownlow. He and his wife occupy the only graves inside Monument Circle. I’m not sure why there is an area by this name, as the cemetery contains no monuments or memorials. 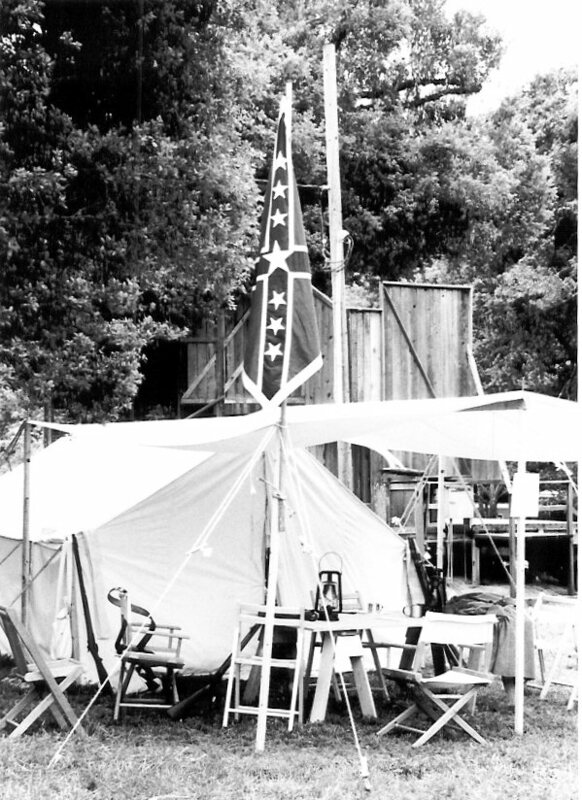 The Mountain Home Branch was the ninth, and last, location funded by Congress to care for Union veterans of the Civil War. In 1973, it was transferred to the Veterans Administration and the home’s cemetery became a national cemetery. Even though about half of US-23 passes through areas that were fought over during the Civil War, I could only find two battlefields along the route. Both are in Kentucky, within a few miles of each other and the battles fought occurred within a few days of each other. The Civil War is also noteworthy during 1962 because the period 1961-1964 was the Centennial of the Civil War. All kinds of media commemorated the events: toys, games, toy soldiers, books, Civil War postage stamps, and even Civil War cards with your nickel bubble gum! As we approach Prestonburg, Kentucky, a few miles west of town is the Middle Creek National Battlefield. Here we can see where a hundred years ago (for our 1962 clock), on January 10, 1862 a battle was fought that ended Confederate supremacy in the region. It also launched the career of James A. Garfield, who became our twentieth president. The site is not yet fully developed as a battlefield historic site, but information is posted here. President Lincoln, who had been born in Kentucky, believed it was very important to maintain it within the Union. Kentucky had also become the nation’s ninth most populous state, giving it further strategic value. The battle at Middle Creek took place just after the Battle of Ivy Creek, mentioned next, and some men fought in both. Ivy Mountain Battlefield is located right on US-23 and a roadside fourteen-foot-high granite obelisk marks the spot. When Kentucky relocated US-23 in 1928, the state promised to construct a memorial arch at the site, but never have. This battle was fought in late 1861, and was a relatively minor skirmish, with only six Union soldiers and ten Confederate soldiers killed. Though not part of the National Park system, the National Park Service maintains an inventory of historic Michigan lighthouses and light stations. This list gives historical data and links to operators’ websites. Most lighthouses are now locally operated museums even if the land still belongs to the Coast Guard. Another group of public lands is the National Natural Landmarks. The National Natural Landmarks Program was established by the Secretary of the Interior in 1962, so there wouldn’t have been more than a few to see that year. The program identifies and encourages the preservation of geological and biological features that represent nationally significant examples of the Nation’s natural heritage, and currently lists 586 sites nationwide. Approximately half of these are administered solely by public agencies, nearly one-third are owned entirely by private parties and the remaining are owned or administered by a mixture of public and private owners. National Natural Landmark designation does not change the ownership of a site, and does not dictate use or activity. Only two are along US-23. The Tobico Marsh, a wetlands located within Bay City State Recreation Area, in Michigan, was designated in 1976. The Highbanks Natural Area, a forested bluff overlooking the Olentangy River, in Ohio, is a county owned site designated in 1980. A different sort of public land is at Graysbranch, Kentucky, where we find the Greenup Lock & Dam on the Ohio River. We can stop and watch the barges "lock through" the dam, which was constructed beginning in 1958 and filled to full height during the summer we’re traveling, on June 4, 1962. The dam raised the river so that the normal lift in the lock is 30 feet and the river behind the dam would have both looked smaller and lower before the dam was constructed. Since 1960, the lock has enabled shipments on the river to grow from nearly 20 million tons to over 68 million tons of commodities by 2004. Coal is what you’re most likely to see passing through here. This shipping is not on the big freighters we saw on Lake Huron in Michigan, but on barges pushed by smaller ships. Sometimes they raft together a dozen barges, all carrying the same thing. Besides the lock and dam, there is a hydroelectric plant and Kentucky-10 crosses a bridge at this point. Finally, one of the more unusual sights along US-23 is actually under water! Out in Thunder Bay off Alpena, Michigan, are over 150 shipwrecks, preserved by the cold freshwater of Lake Huron. Today the 448 square-mile Thunder Bay National Marine Sanctuary is here, and there are diving tours for all skill levels and even glass-bottom boat tours. In 1962 you had to get some scuba equipment and go diving on your own, but the wrecks were definitely there to see. Some of these are almost 200 years old, as the rocky shoals of Thunder Bay have been claiming ships ever since the days of fur trading and lumbering. The shoals are the reason for all the lighthouses in the area. I’m sure there was a lot of amateur interest in diving to the wrecks in 1962, as the popular television show Sea Hunt had just concluded a 4-year run. I haven’t tried a dive myself, but you can arrange a dive or you can see some shipwreck information on dry land today. The Thunder Bay National Marine Sanctuary has a new visitor's center, featuring shipwreck exhibits. I couldn’t have seen this in 1962, so I suppose I would have had to try diving. If you decide to dive, I recommend the warmer water of the summer months. Or, you can even see some of the shallower wrecks from a kayak, though you probably would have used a canoe in 1962. Even small things like what kind of boats we use have changed over the years. People knew of kayaks in 1962; I learned about them in school as something used by the Eskimos. But somehow we actually discovered how useful they were, and now you find kayaks almost anywhere there is water. Now that you know where all the spots are, celebrate National Public Lands Day by visiting the park or other public lands of your choice. We’ll be visiting some again next week on Roadtrip-'62 ™ . Buy your self some great music from 1962!